The Hispanic Heritage Month in the United States is almost over, and a lot have brought out their sombreros and have a fiesta! ¡Hola, chicos y chicas! It’s the time of year to celebrate the National Hispanic Heritage Month, a time when America honors the great and numerous contributions that the Latino Americans and the Hispanics made to its culture and traditions. The Hispanic Heritage celebrations began in 1968, when President Lyndon Johnson declared the week covering September 15 and 16 as Hispanic Heritage Week. In 1988, President Ronald Reagan stretched it out into a month-long celebration beginning on September 15 and ending on October 15. It was also enacted into law in the same year. The month of September marks the independence of several Latin American countries from their Spanish colonizers; Costa Rica, El Salvador, Guatemala, Honduras, Nicaragua on the 15th; Mexico, Chile and Belize on the 16th, 18th and 21st, respectively. 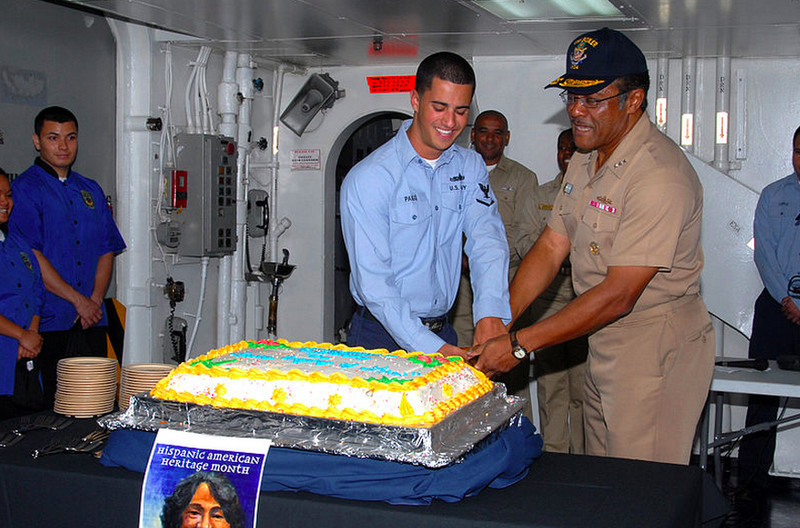 The duration of celebration also coincides with the discovery of America by Christopher Columbus on October 12, 1942. So what better time to honor the Latin Americans who have greatly contributed to American culture and progress, making it the rich and colorful nation that it is now! The Hispanics have been in the United States as early as 1565, in the fortress of St. Augustine in Florida, the first continuous settlement made by Europeans in North America. It was founded decades earlier than the settlement in Jamestown in Virginia. The Hispanics had a small outpost that they had built in Alta California in San Francisco in 1176. They were also in Texas when it was still a separate province, where the vaqueros or cowboys found work in the cattle ranches. So what exactly are we celebrating here? The Hispanic population constitutes 16% of the U.S. population, according to the 2010 Census. It is the largest and fastest growing minority group in the United States. These are people whose origins could be traced back to Latin America, South America and Spain. The influence of this group of people goes deep into the fiber of the American heritage itself. Beginning with the discovery of the Americas by Spanish explorer Christopher Columbus, the presence of Hispanics or Latinos in North America has only grown both in number and influence. Now we have Hispanics from all walks of life, from some of the high seats in government to the noblest jobs on the streets, who are part of the country’s backbone and whose toil has helped bring North America to the great nation that it is today. As mentioned, Hispanics are all over the socio-economic and political strata, from top to bottom. 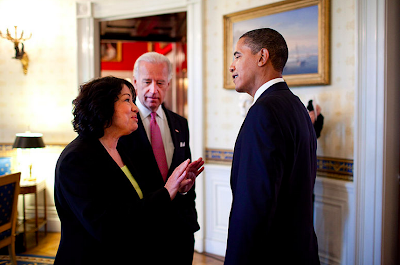 One could not fail to mention Supreme Court Associate Justice Sonia Sotomayor who is of Puerto Rican descent. She is the first Hispanic justice and the third female justice of the Supreme Court. There is also current Labor Secretary Hilda Solis, who is of Nicaraguan and Mexican descent and is also the first Hispanic woman Senator. In sports, we see many Latinos in baseball. In 2008, Latinos constituted 27% of major league baseball players. 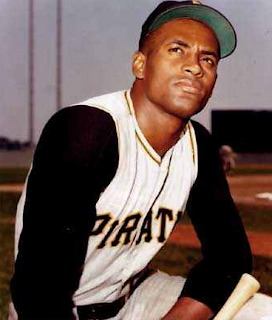 There is the legendary Roberto Clemente of Puerto Rican roots who was a two time World Series Champion and a World Series MVP in 1971. He played for the Pittsburgh Pirates and died in a plane crash while on a relief mission in Nicaragua. More recent baseball stars include Dominican-American Alex Rodriguez of the New York Yankees, who is a World Series Champion and three-time AL MVP. There is also the another Dominican-American Manny Ramirez, formerly of the Tampa Bay Rays, who is a two-time World Series Champion and World Series MVP. Hispanics and Latinos in the United States are included in the long list of people who are in the field of sports, such as baseball, football (soccer), boxing, American football, golf, ice hockey, martial arts, wrestling and other sports. They are also into arts and entertainment, making a great mark in the U.S. as actors, directors, musicians, models, filmmakers, poets, authors, artists and journalists. They are in the military, in politics, education, science and technology and they are in business and entrepreneurship. In the entertainment industry, we have actress/director/producer Salma Hayek who played Frida Kahlo in the movie Frida and was nominated for Best Actress in the Academy Awards; comedian and talk show host George Lopez; actress America Ferrara of Ugly Betty fame, and singer/actress Jennifer Lopez who is one of the highest paid celebrities in Hollywood and also recognized as the most influential Hispanic performer in the U.S. Who could forget the sound of the Miami Sound Machine and the captivating voice of Gloria Estefan, who was born in Cuba and been named the Queen of Latin Pop? Enigmatic Hollywood actor Andy Garcia was also born in Cuba. 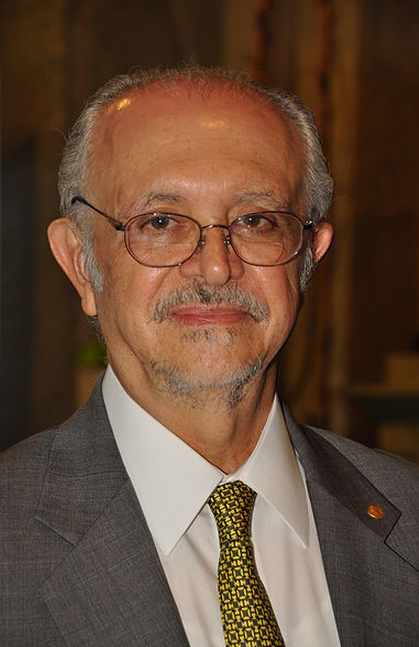 In the field of science, Mario Molina, brought pride by being awarded the Nobel Prize in Chemistry in 1995 for his study of the effect of chlorofluorocarbons on the atmosphere. Some may ask, why the need to celebrate this ethnic background when everyone now is just as American as anyone else. President Barack Obama, in his Presidential Proclamation, called on the whole nation to “honor the achievements of Hispanics in America” and at the same time to “remember there is more work to be done to widen the circle of opportunity for the Hispanic community and keep the American dream within reach for all who seek it.” Celebrating, appreciating the presence of people of different cultural backgrounds helps the nation, particularly the new generation, to appreciate and respect ethnic diversity, especially in a country that is already a melting pot of various cultures and ethnicity. While supporting the Hispanic community to foster pride in their heritage especially among their young, it also helps promote a greater sense of unity among the greater population that ultimately results in the nation’s advancement. So what we are celebrating here is not only the traditions, customs and contributions of the Hispanics and the Latinos, but also the nation’s capacity to adopt each unique cultural group and sculpt out a whole new American culture from this diversity. To participate in the tribute to the Hispanic community, various museums have set up exhibits highlighting the rich heritage of their culture. The Smithsonian Institute for instance holds an exhibition of the Celia Cruz Portrait by Robert Weingarten. It is a collection of digital images of objects in the museum that relate to Cuban-born singer Celia Cruz. It runs from October 3-30, 2012 at the American History Museum. Another exhibit is that of the personal belongings of Peruvian composer Clotilde Arias. In 1946, she was commissioned by the U.S. Department of State to provide an official Spanish translation of the National Anthem. This exhibit runs from September 27, 2012 to April 28, 2013 at the American History Museum. The Smithsonian Magazine, on the other hand, features articles related to Hispanic culture, such as an article on The Changing Demographics of America, an interview with George Lopez regarding comedy and race, and a feature on the photo essay of Camilo Jose Vergara on Harlem and other American urban communities. The state capitol in Albany, NY holds an exhibit entitled "El Futuro es Ahora" which honors the contributions to society of 25 New Yorkers of various Hispanic origins. Among those given tribute are Supreme Court Associate Justice Sonia Sotomayor, American folk singer Joan Baez, fashion designer Oscar de la Renta and actress Rita Moreno, to name a few. The exhibit is open during the weekdays throughout fall. The Los Angeles County Museum presented an exhibit entitled Children of the Plumed Serpent: The Legacy of Quetzalcoatl in Ancient Mexico, which is now relocated at the Dallas Museum of Art. It emphasizes the crucial role of art in shaping a culture by featuring artifacts related to Mexican traditions and customs. This exhibit will be available for viewing until November 5, 2012. The Library of Congress pays homage to war veterans with Hispanic roots. The National Park Services held youth summits with the aim of bringing on board young Latinos in the project of preserving their communities. It also aims to promote the use of historic places in education. One of the summits was held on March 5-7, 2012 at Washington DC. On a more festive level, San Jose celebrated ¡VivaFest! 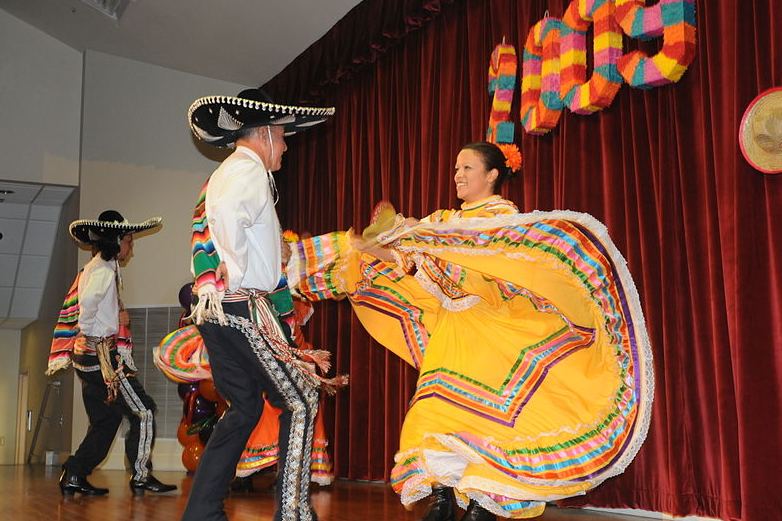 2012 or the 21st Annual San Jose Mexican Heritage and Mariachi Festival. It is a ten-day celebration of Mexican heritage arts, with particular focus on the Mariachi, which has been named by UNESCO as an “intangible cultural heritage” that needs to be preserved. The festival includes film showings, concerts and music and dance workshops. Most of the activities were scheduled during the month of September but the ¡VivaFest! 2012 will officially end on November 3 with the Dia de los Muertos Community Concert and Family at the Davies Symphony Hall. Other tributes to the music and dance culture of the Latino community include the Jose Limon Celebration Day in Flushing, NY and a performance of La Cumbiamba eNeYe at the Long Island Museum in Stony Brook, New York. In sports, the Texas Tech Athletics celebrated their roots and their culture by the Hispanic Heritage Appreciation Game against the University of Oklahoma. PBS also pays homage to the Hispanic culture by airing informative and entertaining programs that showcase the culture and traditions of the Latino community. PBS also provides viewers the option of watching the shows online at their preferred time. In the aim of promoting awareness of Hispanic culture among students and fostering pride in this unique culture, various websites offer educators with learning resources in support of the National Hispanic Heritage Month. Some suggested activities by the Smithsonian include an introduction to the Carnival celebrations of Peru by creating masks, an exposure to vaqueros or cowboy culture through a deeper knowledge of the Spanish language, and a Hispanic musical journey via a virtual exhibition. The New York Times suggests discussing the lives of famous Hispanics, delving into Hispanic cuisine by eating out or having cooking lessons, exploring Latino neighborhoods, studying literature by Latino writers like Isabel Allende, or examining Latino music and its influences on pop music. Educationworld.com also proposes art projects like inviting students to design postage stamps that could be included in the Hispanic Heritage stamp series. For younger students, a study of English words derived from the Spanish language and creating a dictionary is recommended. With all these festivities and celebrations, paying homage to the Hispanic culture during the month, it is more important to remember throughout the year this rich heritage and reflect on what it means to be part of a bigger nation that is the United States. Ultimately, the goal is not only to take pride in one’s roots but to use this legacy as a tool to further the progress of human civilization for without the struggles of people from the past we would not be where we are today, and we would not have what it takes to move forward.